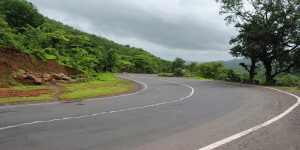 The gorgeous Konkan region is famous for its long stretch of sparkling beaches with crystal blue waters and white sand. Konkan is the gift of God to mankind and blessed with Western Ghats on one side and Arabian Sea on the other.Paradise of Maharashtra, Konkan is home to many beautiful wonders of nature. Small and big waterfalls in their full glory is a sight to behold. The flora and fauna of Konkan has got no match. The temple of Lord Ganesh at Ganpatipule stands out majestically on the beautiful white sand beach granting its blessings to the mankind. Millions of believers have found solace in the blessings of Lord Ganesh. The districts of Ratnagiri lie at the heart of Konkan, endowed with a beautiful seashore, picturesque mountains and scenic natural beauty, and known for tropical fruit like the delicious golden Alphonso mangobetween 3000 to 5000 mm a year. It is a tract of high rainfall ranging Konkan is also a land of culture and human heritage, with many famous hill and sea forts There is something special for every one to enjoy and discover. It is a land as beautiful as its people simple, soft spoken, easy going and hospitable. Adventurous travelers, holiday makers and nature lovers are drawn to this beautiful paradise. The scenery of this district has been shaped by a its geography and civilization. It has green hills, deep valleys, and emerald green paddy fields. There are a number of stunning beaches. 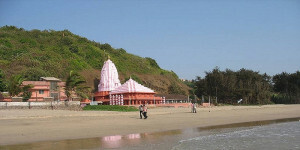 Ganapatipule is one of the most spectacular beaches along the Konkan Coast – an idyllic gateway that attracts peace-seekers, beach lovers, and pilgrims alike. Ganapatipule is rich in flora, including mangroves and coconut palms. Here, you can leave the hectic world behind as you laze around on golden sands or explore the many trails that lead from the beach.